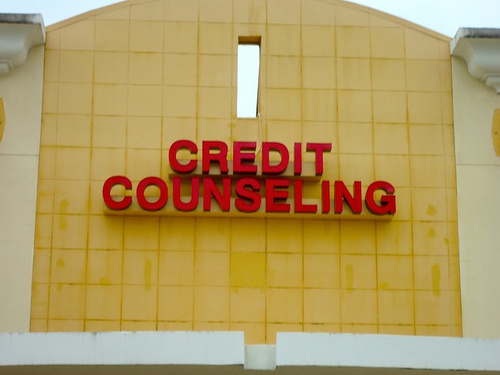 Credit Counseling good or bad? “(NPR News, May 15, 2006). The Internal Revenue Service is revoking the tax exempt status of some of the largest credit counseling agencies in the country. An IRS investigation disclosed that the firms solicited business from people seriously in debt and that they didn’t provide counseling or consumer education, as required. Everson says in many instances, companies were organized merely to funnel business to loosely affiliated for-profit companies. Many of the firms spend millions of dollars on commercials that urge anyone with debt to call them to solve their financial woes. And because tax-exempt organizations are not bound by federal do-not call list, the firms were able to randomly call consumers, pitching their services under the guise of a non-profit counseling service. Since almost all Credit Counseling and Debt Consolidation companies claim a non-profit status, we feel most consumers are easily sucked in with their skepticism and defenses at bay. After all, when most of us hear the word “nonprofit” the first thing we usually think of is a church or homeless shelter. From the NRP article and the actions of the IRS, we think it’s fair to assume that many of these “non-profit” organizations have been operating under a scenario similar to that of a wolf guarding a hen house. However, this doesn’t mean all credit counseling and debt consolidation companies are bad but… You do need to know the truth about how they operate and their limitations. The first thing you want to understand is these companies are ALL more interested in making money off you than they are in preserving your credit rating. The bottom line with either credit counseling or debt consolidation is that it absolutely ruins your credit. We can just hear the companies arguing this with a consumer right now, telling them nonsense like “It helps your credit since it tells creditors that you’re working on your situation and not just running away from it.” Listen… If one of these companies tells you that than watch out, Why? Because they will lie to you about other things as well! One of the first actions these programs usually require you to do is for you to CLOSE all your revolving credit accounts. You then make payments to the organization and they take care of everything for you. What this says to all your creditors (as well as anyone considering giving you credit) is that you are so out of control with your finances that you can’t even manage paying everyone back on your own. Therefore, you’re hiring someone else to do it for you! 99% of the time these companies will claim they can negotiate with your creditors and get interest rates reduced thereby saving you money. While this is true, what’s also true is you can easily negotiate these same rates as well as they can by just calling your creditors yourself. You’d be amazed at how many of your creditors would love to hear from you (especially when the chips are down!). Not to mention, any money the counseling company was to save you would more than likely be eaten back up by their monthly fees (usually around $500 to $1,000 per year). This brings us into a whole other dynamic of their business model. Because these companies always make their money off of monthly fees paid by the consumer, the longer they can keep those monthly fees coming in the more profitable their business will be. It’s for this reason that most consumers who sign up with these companies usually find themselves on payment plans with the lowest monthly payment possible (which turns out to also be the LONGEST payment plan as well). Not surprising is it? Are we against Credit Counseling and Debt Consolidation companies? Absolutely not. After all, there are millions of people in America who will never be able to manage their finances. Credit to them is a destructive addiction much like alcohol or drugs and they will never be able to control it. Instead, it will always control them. We’ve all seen these people. Every time they are extended credit shortly thereafter they are in financial trouble (usually blaming it on some external factor). For these people we think these credit and debt counseling programs can be a good thing (as a ruined credit report is not a hindrance to them but actually an asset). It keeps them out of future financial trouble by forcing them to live their lives on a “cash and carry” basis; which is ultimately conducive to a better standard of living down the road. On the other hand, if you’re good with your finances and have control with credit but went through some type of hardship beyond your control in the past (i.e. divorce, job loss, etc. ); then the services of these companies will never be for you. You will do far better and preserve your credit rating by taking matters into your own hands. Reason being is that you understand your credit rating is a powerful tool that can help you move ahead faster, help others and help yourself as well and create the life you want. It all comes down to self management. We all know that those who cannot manage themselves will ultimately be managed by others. Credit is no different. When you learn to manage it well, you are the master and it is the servant. If you care about your credit and want to benefit from it in the future, then you will never rely on a credit or debt counseling service to help you get out of any financial trouble you find yourself in. Instead, you’ll look inward and get yourself out while preserving your credit rating the best you can. Credit and Debt counseling is for people who are “ok” with throwing their credit rating in the trash so they can have “someone else” manage their payments for them (since they are unable to manage them themselves). And again, as far as negotiating interest rates, you can do just as good as them or better. If you don’t believe us just call any of your creditors and straight out tell them your situation. You will quickly find you don’t need to be afraid of them. They just want to get paid like the rest of us.